Coming up with have a must hear interview with market cycles analyst Bo Polny of the Gold 2020 Forecast. Bo’s research is signaling some significant turning points in both the metals and stock markets that every investor should consider. Don’t miss a fascinating and thought provoking interview with Bo Polny coming up in a moment. But first, this week’s market update. All eyes were on Washington this week as members of Congress battled over funding the Homeland Security Department and President Obama’s executive amnesty. Congress also found time to quiz Federal Reserve Chairwoman Janet Yellen over the Fed’s transparency and interest rate policy. Yellen testified before the House and Senate on Tuesday and Wednesday. She tried to fend off Republican critics who say monetary policy is being unduly influenced by the White House. Yellen also emphasized her opposition to Senator Rand Paul’s Audit the Fed bill. No surprise there. Behind the scenes, the Yellen Fed is also employing its Congressional Liaison Office to lobby legislators to protect the Fed’s ability to secretly manage the dollar. And they’re twisting the arms of key lawmakers, when necessary. But the main thrust of Yellen’s Congressional testimony was that the economy is gaining enough strength to warrant rate hikes later this year – probably by September, many Fed watchers say. Yet as of now, the disinflationary effects of plunging oil prices are still working their way through the economy. This week we learned that the Consumer Price Index contracted by 0.7% in January. However, excluding energy and food, the so-called “core” CPI rose by 0.2%. Yellen and company believe inflation will tick up later this year toward their target 2% rate as unemployment falls, economic growth picks up, the stock market keeps rising, and a new era of endless prosperity commences. Well, not all analysts buy into such a rosy outlook. Here’s what the author of both Currency Wars and the Death of Money James Rickards had to say in an appearance on RT News. James Rickards: The Fed has the worst forecasting record of any major institution I can think, worse than Wall Street believe it or not, and worse than private analysts. When the Fed says they see enough growth to justify a rate increase, that's almost certainly means that the growth is not there because their models are consistently wrong. Basically the world is set up for a rate increase and the world is set up for QE in Europe. We already have extreme QE in Japan. So you look at that, you're a global investor, you've got to allocate your capital somewhere. You say, "Huh, if I come into the US markets it looks like I'm going to get a little bit of a yield. If I go into these other markets I'm going to get negative yields, so I'll buy US dollars." It's just capital inflow. It's nothing to do with trade. Basically it's capital inflow, it's driven by the expectation of an interest rate differential. Now where it gets interesting is that if I'm right about the economy, later this year the fed's finally going to wake up and smell the coffee and see how week it is. Again, based on my conversations with Fed officials, If the data comes in weak they will not raise rates. They think it's going to come in strong. That's the difference of opinion, but if it comes in weak they won't raise rates. There's probably a lot less than meets the eye in terms of ECB QE. So by April or May we may be at a point where it appears the Fed's not going to raise rates and appears that Europe is not as easy as people thought, and this whole trade could flip. All of a sudden the strong dollar could go to being a weaker dollar and the euro can rally. I think we're at the extremes of the range right now and this could turn around very quickly, but that's also characteristic of currency wars. Around the globe, currency wars continue to escalate. This month Ukraine’s currency, the hryvnia, went into total meltdown mode. The Ukrainian government has announced emergency measures to try to stabilize the falling currency. But this comes too late for Ukrainian citizens who have seen the purchasing power of their wages and their savings evaporate. The war-torn country now faces the prospect of hyperinflation and economic collapse. Prior to Ukraine’s currency troubles becoming a full-fledged crisis, the country’s gold reserves had been raided by corrupt officials. That assault on the Ukrainian economy wasn’t conducted by Vladimir Putin or Russian insurgents. No, the Ukrainian people got swindled by their own government. Yet individuals with the means and the foresight to own gold for themselves are seeing the value of their gold soar in terms of Ukrainian hryvnia. More importantly, their gold is holding remarkably stable in terms of its real-world purchasing power. As for gold prices in the U.S., for the second straight week gold found support at the $1,200 level and staged a modest rally. Spot gold currently comes in at $1,215 an ounce, up 1% on the week. Gold continues to trade at a premium to platinum, which now trades at $1,186 after managing a modest 1.8% weekly gain through trading as of this Friday morning recording, with a good part of that gain coming thanks to a rally today. Other metals are showing greater strength. Silver looks higher by 2.2% this week and now trades at $16.63 an ounce. Palladium is up 4.1% to trade at $814 an ounce. And finally, copper is having a big week, with spot prices gaining nearly 5%. Silver bullion products from tenth-ounce rounds all the way to 100-ounce bars are available through Money Metals Exchange. Pre-1965 90% silver coins remain a popular choice for those seeking practical barter money. Though not quite the bargain they have been in recent years 90% silver dimes, quarters, and half dollars currently carry a modest premium given the reduced supply available on the secondary market given these low spot silver prices. But these historic circulated coins have the potential to show premium increases when they become more sought after by investors. Diversifying into various sizes and types of silver will certainly improve your resilience in a time of crisis. As currency turmoil spreads throughout Europe, with some countries experiencing runaway inflation and others beset with negative interest rates, the U.S. dollar is at risk of becoming over-bought and over-owned as a false safe haven. Yes, dollar strength as compared to other un-backed fiat currencies could persist a while longer. But the dollar also has a long way to go on the downside when momentum does shift. We suggest that it’s better to accumulate precious metals now and risk being too early than to wait and risk being too late. Well now for more on the state of the gold and silver markets -- some interesting commentary and analysis on what one technician believes is going to be big year for metals -- let’s get right to this week’s exclusive interview. 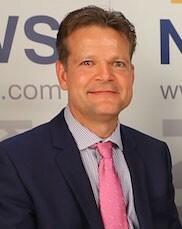 Mike Gleason: It is my privilege now to be joined by Bo Polny of Gold2020forecast.com Bo was a real student of the markets and offers some fantastic technical analysis on the precious metals with his detailed market cycle work. Bo has made some important calls of major tops, and major bottoms in recent years in the metals markets, and that's earned him a reputation of a great market timer and analyst. It's great to get a chance to talk to him today. Bo, thanks for joining us. How are you? Bo Polny: I'm great. Thanks Mike. I appreciate you calling and setting up this interview. Thank you so much. Mike Gleason: You're expecting some big things in the markets this year, and I want to get more into the specifics with you of all that in a moment, but first in terms of precious metals, back in 2011 when gold reached nearly $1,900, and silver nearly $50 an ounce, you successfully called the top in those markets, and you sold your positions at what were ultimately the highs for both metals, but now you're saying that the bottom has been put in. You've been on record saying that several months ago, November of ‘14. You're flashing a buy signal for gold and silver saying it's time to get in. Now we've heard from a number of forecasters who were calling for bottoms back in 2012, 2013, and this corrective period has certainly gone on longer than many of us would have expected, so why are you confident that we have seen those lows in the precious metals this time, and what is your research showing there? Talk about that. Bo Polny: Looking at timing of these events, off the top of 2011 in April, the very end of, and the very first day of May what end up happening was silver topped out at $49, and then since then obviously it's dropped and we went from $49 all the way down to a low of $14. Here's how cycles work. Probably the best place for me to start is talking about cycle work, and how you can project a possibility of a low. It's the Law of 7s. Throughout nature 7 replays itself over, and over, and over again. It's something that we are never taught in school. Something no one talks about, but there's a law of 7s, and I want to illustrate that to you before we can get into talking about bottoms in gold, and silver. A Law of 7 talks about if there's 7, cluster of 5, with a completion of 2. That takes us to 5+2 is 7. Here's examples of that. The human skin has 7 layers, 2 inner, 1 outer. Cervical spine and the human spine has ... The neck has 7 vertebrae. Two that are movable, and then 5 that are fixed. You have 7 days of the week. Five and two. You have two days in a weekend. Rainbow has 5 primary colors, and 2 bridge colors but a total of 7. The sound do, ra, mi, fa, so, la, ti, do goes back to do, so, there's 7 there. Oceans run in waves of 7. Seven cardinal signs. Seven hills of Rome, Seven wonders of the world. Seven oceans. Seven continents. My point is, if you take the 7 and you cut it in half, what do you have? Mike Gleason: Three and a half. Bo Polny: Three and a half. If you go to May 1st 2011, 3 and a half years. Do you know where you end up? November 1st. I did an interview right then, and I was saying this is 3.5 years exactly to the mark, gold should be bottoming right here, gold then dropped 40 hours later, hit a low at $1,130, and lowest held to date. Through nature it hit a low 42 months to the mark exactly 3.5 years from the high. Why I'm saying that's a low is because that's a critical juncture in the cycle of 7s, or the half-way points. Further on you take that point, and this even gets way more exciting because on cycle work silver bottoms after gold. When did silver bottom? Three to four weeks after November 6th, right on December 1st the Swiss referendum silver dropped to $14.14, I think, and then it reversed all within one day. I'm sure we all remember that. The silver low cyclically came in secondarily after gold. Since then silver and gold have gone up into January, but then have also come down and gone sideways. What happened in 2011 after silver topped? Gold went up to ... It was a specific amount of time window. There's a time frame that it went through, but then it went all the way into the end of August. What happened on the end of August 2011? $1,900 gold. Mike Gleason: Right. I guess that's the high that we saw, $1,900, $1,910, right in that range right there. Bo Polny: Exactly. So that was a top in gold. Let's have some more fun. The Law of 7s, cut the 7 in half, 3.5, 42 months. The end of August, 1st day of September is 42 months to the day right here. That's why I actually wanted to make sure we had the interview here, because this is a very interesting time. We should have had a low in gold, we should have now come off the low, had a low in silver a month later, created a wedge for the past 3 months, and now that we are officially completing the 3.5 year cycle off the 2011 gold top at $1,900, we are about to see some pretty fantastic moves as the wedge, or the triangle breaks vertically for gold. I hope that answers your questions as to how I look at timing, but it's relation to taking numbers, and mathematically applying them to gold and silver. Mike Gleason: Expanding on that a little bit. Talk about the significance of 2020. You've got the Gold2020forecast, of course, what's the significance of the year 2020 in that 7 year cycle work? Bo Polny: What happened in 1980? We had a high in gold. Take 3 cycles of 7. You take 3 times 7. You know where you end up? Okay, what happened in 2001? Mike Gleason: Yeah, that's where I guess we reached a market bottom in gold. Bo Polny: That's correct. We are 2 cycles through 3, 7 cycles of 7. Gold in the year 2015 completes a secondary cycle of 7 to then embark on a third cycle of 7. There's no way the bull market is over in gold. This was nothing but a correction. Mike Gleason: Turning here to the equities market. You're a follower of all markets of course, and you look at the cycles in all of them. We have one asset class that's maybe ready to roll over, and after a nearly unprecedented, and unabated advance over the last few years when many people were suggesting that it was going to be nearing a top it didn't. What does your research tell you about the US equities market? Bo Polny: Mike I provided you a PDF layout, and I'm going to have it linked to my web page here shortly, but I think you've got it, and might want even link it to this interview. However, in that update is dated the 24th of February, there is an S&P stock cycle that I laid out in there, and what it shows is a topping pattern that occurs on a 24 months window. Basically, using this chart they’re monthly candlesticks, and what the chart tends to indicate is that the US equity markets have a topping patter of 24 calendar months, which would be 2 years. If you look at the cycle you'll notice that in 1998 was the start of the 24 month cycle pattern. It topped in 2000 and then crashed. You'll also notice that in 2006 was the start of the next one. That went up until 2007, and then we had the crash that followed that until the bottom of 2009. Since then we've had the S&P and the US markets move upwards starting in 2013. That ran an entire 24 months, and as of now that cycle itself should be complete. Point is if you look at the secondary chart on page 2 what you'll see is that when you compare the S&P against the US dollar, the cycle is extremely much more apparent, but the point is that, that cycle now indicating that the roll over phase should be here, and we should be seeing equity markets reversing and going in the downwards direction. From the day counts, again I don't like to do day counts too much on the S&P, or the US markets, but I do believe that we could starting even as early as next week, so the first week of March start to see the equity markets rolling over. Mike Gleason: Back in 2011 during the run up in the metals we had a gold to silver ration in the low 30s, but now we're roughly 73 to 1 as we're talking now on Thursday. What do you expect to see in the ratio from here on out? Do you expect that to narrow in silver's favor? Bo Polny: Absolutely. You can go back in history, and there are many times that the gold/silver ratio can get into the 60s, or 70s, but it never ultimately stays there. The low number would come into the range of around 15 give or take. At 70 you're talking pretty substantially cheap silver. Bottom line if you're going to be doing any kind of investing in the precious metals my thought personally, which I believe in, would be to own silver first. When the ratio approaches smaller numbers getting not maybe say 30, or even 40, then at that time you might want to look at, never selling your precious metals, but swapping your silver, and then flipping it in for gold, because gold in a long term is a better deflationary hedge. If we're looking long term at the equities continue to falling eventually to their downside in the years to come, which I personally foresee happening, I think gold long term would be a better investment, but in the short term silver is definitely by far the trade of choice, or the investment of choice. Mike Gleason: Most of our listeners probably aren't necessarily market timers, or traders, so in terms of the broader picture from a macro level, and you covered this a moment ago, but why do you believe it's important for someone to have metals given the current financial and economic landscape, because obviously things are maybe a little bit scary out there right now. Bo Polny: I look at it as gold and silver have no counter party risk. When you have it in your hands, you have it. Anything paper is paper. At the end of the day you either have something physical, or you're owning paper. It doesn't matter if it's stock, it doesn't matter if it's SLV, or a GLD, or if it's 401(k)s. Those are all paper entities versus gold, and my belief is that when you have aggressive price movement on gold and silver, what happens is I think that's going to be harder to get your hands on it, but more importantly is you're going to have large premium spreads. To get your hands on it ... right now the premium on gold might be $30, but imagine gold going to $2,000, over $3,000, that spreads going to become $200 possibly just to get your hands on the gold. I honestly believe that I think it's much more prudent to have physical, A, for no counter party risk, and secondly the ability to have it, because I don't know how easy it might be later on to get it. Mike Gleason: Most of the moves in precious metals bull markets occur in a short period of time. Talk about that. I guess we've got a mutual friend David Morgan who says that you see parabolic moves the last 10% of the time period, I guess counts for 90% of the move or somewhere along those lines. Do you foresee that type of blow off top happening at the metals in some point before it's all over? Bo Polny: Absolutely. I've been forecasting that to we're going to see large prices in gold and silver, and I'm still saying that events going to happen. You have to remember we've had 42 months, 3.5 years. We've had half of a 7 cycle, a 7 year cycle of a bear. This is critical to remember. When 1 cycle ends, a new cycle begins. The new cycle could be something that we're not used to. We could have very fast changing prices because it's been 3 and half years of low prices. I still see the cycle coming to an end even this year. Another words, a big move still happening. For that to happen that would basically summarize what David Morgan has said, and that's how we became friends is if you look at 3.5 years, and then you have a massive move, well say in only 1 year, then that would make his statement to 100% true. Mike Gleason: This is all incredibly interesting stuff this whole 7 year cycle stuff is very fascinating, and it'll certainly be interesting to see how this all plays out. Well Bo before we let you go, tell our listeners how they can learn more about all this, your service, your website, and how they can follow the work you're doing there, and then also about the Polny 2020 Gold Index. Bo Polny: I look at it this way, anybody who's invested in gold, I think it's critical for everybody to have at least an edge. I believe the edge is timing. You can look at prices all you want, but if gold shoots up $100, or $200, or $300, you think, "Whoa. Should I sell, or should I not sell?" Or, "If it's the bottom right now should I be buying?" If you're buying because you feel it's right, I think that's 100% great anyway because the prices are so cheap regardless, but the point is that when it starts to move, or more importantly before even starts to move to know when to do something; when to act. If a top is coming in, or if there's a big rise like we spoke about, and prices start to go pretty aggressively to the upside, how will you know when to do something about your position? That's what the Gold Index is all about. It basically covers what we've discussed here in greater detail, and more importantly is what I give is specific timing points. There's actually a couple at this point very important time points for 2015, and I think anybody invested in gold should be aware of those time points, and again that's what we offer within the Gold Index, and then we also cover the equity markets in there as well too. Mike Gleason: It's fascinating to listen to you, and have you on. I really appreciate it. Hopefully we can do this again before it all unfolds. Thanks very much for joining us Bo. Bo Polny: No problem Mike. I appreciate it, and to finish with a 42 months cycle off that gold top we might really want to watch what happens as early as even tomorrow, or into the start here of March, because I think we might have some exciting times ahead. Mike Gleason: That'll do it for this week. Thanks to Bo Polny of Gold2020forecast.com. We'll have a link to his page from this podcast interview. Again, it's Gold2020forecast.com. Check back next Friday for our next weekly market wrap podcast. Until then this has been Mike Gleason with Money Metals Exchange. Thanks for listening, and have a great weekend everybody.